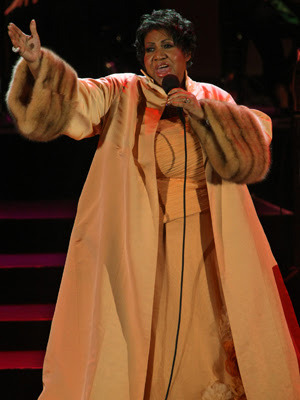 The Queen of Soul, Aretha Franklin has been nominated for her 37th Grammy Award for her duet with legendary man of song Ron Isley (You've Got A Friend) from his album "Mr. I". Aretha Franklin already has won 18 competitive Grammy Award, 1 Living Legend Grammy Award, and 1 special lifetime achievement Grammy award. Her last Grammy award came for her duet with Mary J Blige in 2008 on "Never Gonna Break My Faith". Good luck to Aretha & Ron "Mr. Big" Isley! Aretha Franklin is currently recovering from a recent surgery. The exact nature of Aretha's illness has not been released. Aretha is a extremely private person and it shows by the lack of information any media publication has. I can't even tell you what hospital she is being treated at. Her cousin and background singer Brenda Corbett said that she's in "good spirits and recovering at a Detroit Hospital". The Fresh Music Page prays for her speedy recovery! She is the queen soul.